The 3rd China Culture & Tourism Industry Annual Conference and Award Ceremony, which lasted from April 11 to 12, 2019, was successfully concluded at Atlantis Sanya, Hainan Province. Sanya, Hainan, China - April 15, 2019 /PressReleaseAgency/ — The 3rd China Culture & Tourism Industry Annual Conference and Award Ceremony, which lasted from April 11 to 12, 2019, was successfully concluded at Atlantis Sanya, Hainan Province. 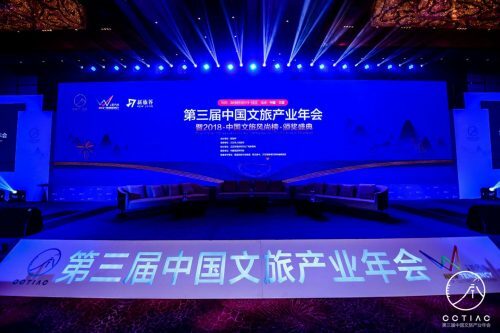 Supported by Sanya Municipal People’s Government, the conference was hosted by New Lvjie, co-organized by the Bureau of Tourism, and Culture, Radio, Sports of Sanya Municipality, and guided by China Tourism Academy.